T he Clemson University team of Ross Burns of Columbia, South Carolina, and Isaac Nesbitt, Aiken, South Carolina, won the FLW College Fishing Southeastern Conference tournament on Lake Hartwell Saturday with five bass weighing 16 pounds, 15 ounces. 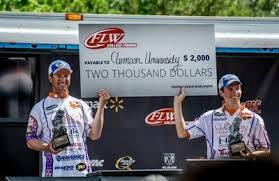 The victory earned the club $2,000 and advanced the team to the FLW College Fishing Southeastern Conference Championship. More details here. These young anglers have demonstrated that Lake Hartwell continues to produce the fish that people want to catch and the people that know how to catch them. 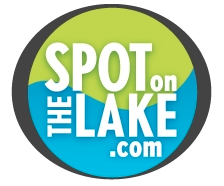 Come let us help you find your spot on the lake.